You’ve added a strong call to action at the end of every blog post. You’ve created registration pages or “gates” to white papers. Your webinar series can be accessed on demand for whomever signs up. Eventually, though, some businesses may find their customers tire of these tactics. They’re not handing over contact information as often as they used to. When lead generation begins to dry up, that’s when it’s time to think of some fresh lead magnets. As the name suggests, lead magnets use some kind of strong incentive that’s intriguing or valuable enough that potential buyers don’t mind giving their name, email address, their job title or even additional information to the company offering them. 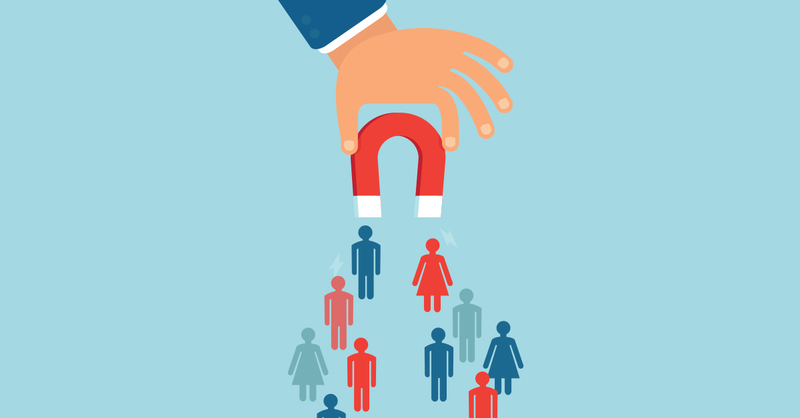 Some lead magnets are specifically designed for top-of-funnel-stage buyers, such as prospects or relatively new customers. Others, like case studies and buyer’s guides, tend to be geared towards those who are already well down the path to making a purchasing decision. Still others may work across multiple stages. While you can spend a lot of time and financial resources in creating a unique, highly sophisticated lead magnet (like an online calculator to get an insurance quote, for instance), the good news is you can get equally good results using far less expensive or complex approaches. All you need is a really strong grasp of your customers and overall target market, which is something you’ll have if you’ve already started using tools like Marketing Cloud. If your marketing team has ever been stuck or at a loss for ideas on what to write, you’re not alone. Lots of organizations have come to recognize the importance of a strong blog that shows they are in tune with what’s happening in their customer base and the issues on the horizon. Managing the blog production process on a monthly, weekly or even daily basis is another matter. The data in Marketing Cloud will show what kind of content customers are already clicking on or engaging with, which hopefully makes writing for your own company blog a little easier. Now turn that same data into a series of short ideas or “prompts” that you can compile in a downloadable list from your website. These could be ideas that relate to recent news in you customer’s industry sector, how they are addressing an emerging trend or their predictions about a certain aspect of the market within the next year. Just as you’d personalize and contextualize other marketing content for your customers, help them do the same for their customers. Depending on where you source graphics for blog posts, email newsletters, infographics and social media, it can be near-impossible to find anything that doesn’t look completely generic. Just as your use of Marketing Cloud makes you more effective, your customers want to drive strong engagement too. If you have any graphic design or illustration capabilities on your marketing team, think about how you might depict what your customer’s day looks like. Some of these could be positive images, and some might illustrate what their difficulties look like. Make these into a zip file they can keep on hand. They’ll see how well you understand their world and will remember you every time you use one of the images. You may already know a lot about your product roadmap, such as when you’re launching a new version or additional features. For your customers, however, there are probably other dates that are even more important. These could include the dates for a major industry conference (where your company might be an exhibitor or have speakers), the deadline to comply with new industry regulations or peak times (based on market research) of purchasing activity among their customers. Make your customers’ lives easier by mapping all these out in a calendar. You can put your logo on the back, but leave options for them to change other imagery with photos of their own. That way they have something useful they can customize as they see fit. It’s happened to almost all of us: you have to ask the boss for a new company purchase, the go-ahead to take on a new project or to adjust the strategic direction in some way. Then, at the moment of truth, you choke. Your marketing team is in the fortunate position of hearing about how other customers go through such challenges. Use that insight and share the best practices of what worked by not only providing a script, but shooting a simple video where you have someone act out what the boss says, and someone else to show how to respond. Even the best case studies take time to read. More recently, more organizations have been complementing or substituting their written case studies with video versions that show how their customers are making use of their products and services. Stand out from the crowd (and appeal to almost anyone who commutes by public transit to work) by using audio to capture the best testimonials and stories of customer success in a series of audio clips they can download like a podcast if they sign up to receive them via email. There are all kinds of templates that can be useful to customers, but here’s one that’s often overlooked. When your customers have news to share to the world, they may not be large enough to have ever worked with a professional public relations firm that conducts outreach to local media. If your marketing department has expertise in this area, share the wealth! Imagine the value of having an email that shows how to phrase things in a way that would interest journalists that customers can tweak and then send out en masse. Existing customers who started out as sales leads may be less inclined to keep signing up for things. The one exception might be an online community where they can get a first look at new offerings you’re about to bring to market, or a simple and effective way to give their feedback or requests for new offerings. Think of this as a kind of VIP group for the most engaged portion of your audience. The more involved they are, the more likely they’ll increase their share of wallet with you. When you bring some creativity to lead magnets, there’s no end to how they can attract customers and keep them coming back for more.